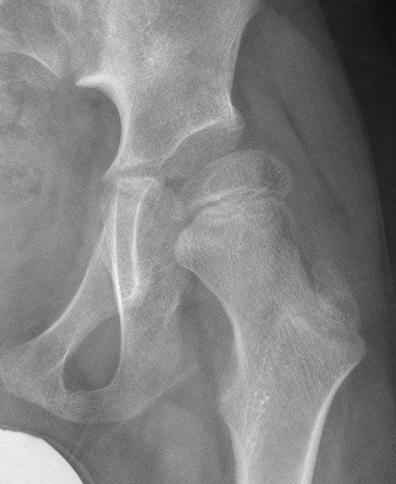 When a hip starts to move out of joint, the ball (head of the femur) is no longer pointing directly into the socket (acetabulum). A varus derotation osteotomy (VDRO) may be done to place the ball back into the socket. Your child’s surgeon will make a cut on the outside of your child’s hip. A small piece of bone will then be cut out of the thigh bone (femur). This will allow the ball (head of the femur) to be tilted so that it rests inside of the socket (acetabulum). 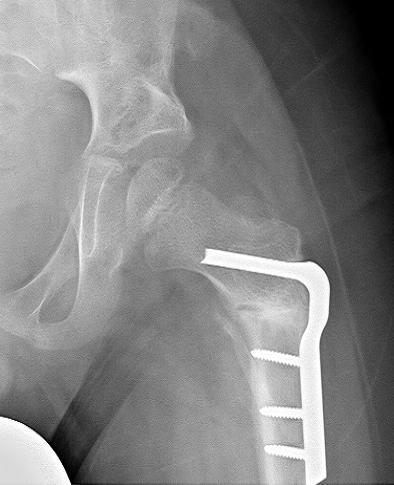 A metal plate with screws is used to hold the bone in this new position. Each joint is surrounded by a capsule. Sometimes your child’s surgeon can place the ball (head of the femur) inside the socket without opening the capsule. This is called a ‘closed reduction”. Sometimes the surgeon has to open the capsule to regain proper positioning. This is called an “open reduction”. As part of this surgery, most children need to have a adductor lengthening surgery. This is necessary to gain the range of motion that is needed to put the hip back into joint.